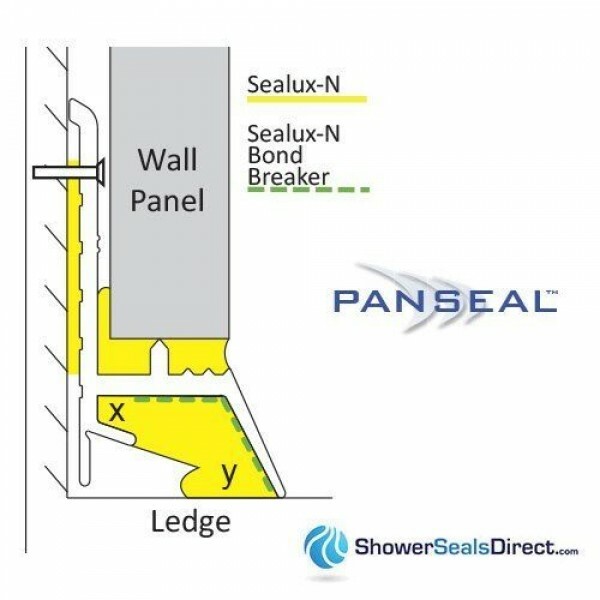 Panseal 18 seals are designed to seal HPL (High Pressure Laminate) wall panels to shower trays and baths. Panseal are endorsed by the leading HPL wall panel manufacturers throughout Europe. 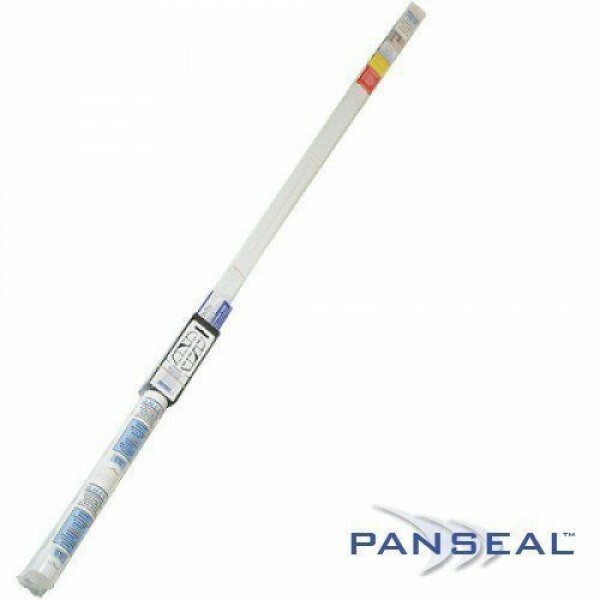 Panseal 18 is an 18mm wide sealing strip and is designed to span a gap of 10mm between the wall and adjacent ledge. Panseal is manufactured by Sealux Ltd.
Panseal is similar to Cladseal but because it is used for sealing a laminated compound it incorporates a vertical support for the wall panel. This support allows for a bed of silicone to cover and protect the bottom edge of the wall panel and prevent pooling of water. 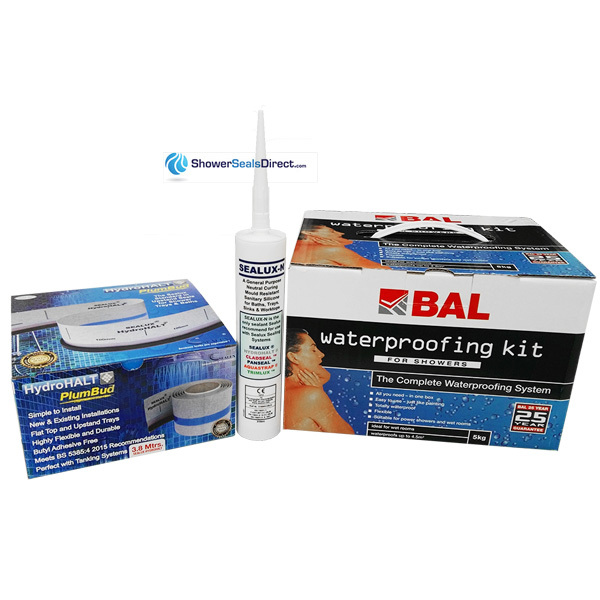 Sealux recommend that only Sealux- N silicone is used when installing Panseal. 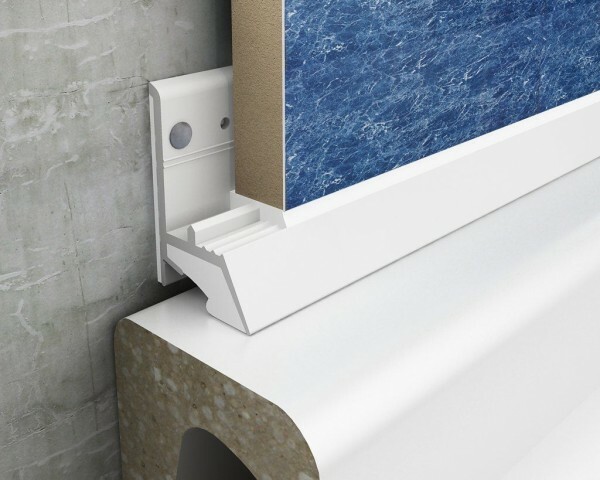 Sealux-N silicone is a flexible sealing material between Panseal 18 and the adjacent ledge. 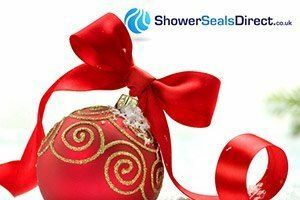 The Panseal trim is the choice seal for use on a shower tray or bath, it is attractive, durable, flexible and hygienic. The technical drawing illustrates how Panseal works. The inner cavity of Panseal 18 are partially layered with a polythene tape indicated by the green line. Sealux-N silicone will not bond to this polythene tape. When joint movement occurs between the wall and ledge, the Sealux-N silicone bonded to Panseal at (x) and to the ledge at (y) comes under tension.To reduce this build up of tension the silicone must stretch, but to stretch it must first release off the inner cavity walls of Panseal 18 so a silicone bond breaker is required (according to BS 5385). The green polythene tape is the patented silicone bond breaker. This crucially allows the silicone to stretch and release off the inner cavity walls of Panseal 18, resulting in the reduction of the built-up of tension. Elasticity is created through the flexible "bridge" of silicone connecting (x) to (y). This "bridge" of silicone sealant elongates to maintain stress free bonds with Panseal at (x) and the ledge at (y). 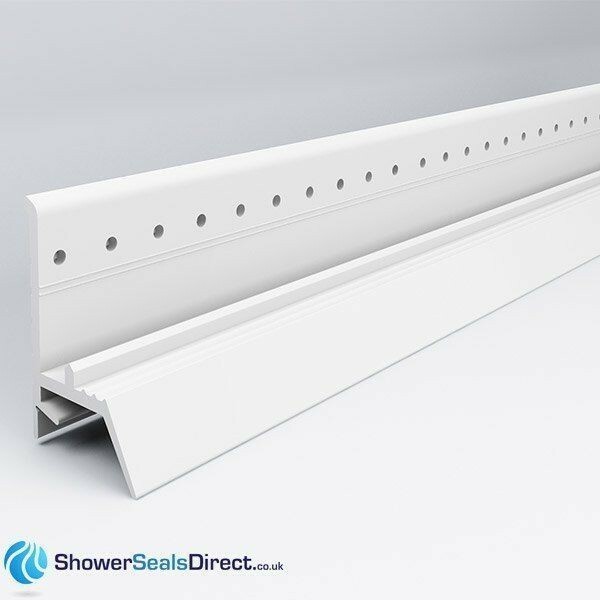 The silicone runs continuously through the corner joints, it remains visually concealed and environmentally protected inside the Panseal 18 strip.